By all accounts, Verlean Hollins was very good at what she did. Problem is, it was illegal. 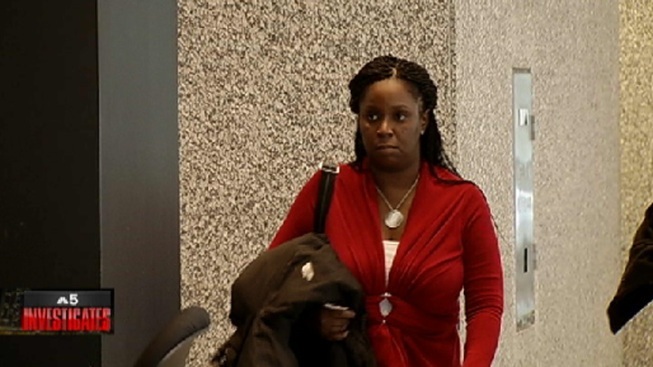 Hollins stood in a federal courtroom this week, and admitted what even the IRS says may be the largest fraud ever perpetrated by a tax preparer in Chicago history. Working out of a now-shuttered tax office on East 71st street, the government says she helped over 3,000 clients cheat on their taxes, with a total fraud of over $3 million. "To date, this is the largest return preparer scheme that I've seen in Chicago," said James Lee, special agent in charge of the Chicago office of the Internal Revenue Service. Hollins attorney emphasized that she never benefited from the fraud. And indeed, there is no suggestion in the charges that she pocketed any of the ill-gotten gains. "She did not accept any wrong money from the refunds," says defense lawyer Raymond Wigell. "She got paid for the tax preparation, but she did not receive any wrongful refunds." IRS investigators say the fraud was actually rather simple: Hollins gave clients credit for higher education deductions they didn't deserve. And as the years passed, the fraud mounted. In 2009, 847 clients enjoyed her largesse, resulting in $821,540 in fraud. The following year, over a thousand clients, with a loss to the government of $1.1 million. And in 2011, nearly 1300 clients filed false returns through Hollins, with an estimated fraud of nearly $1.4 million. Those closest to the case say Hollins genuinely believed she was helping members of her community. "That's a false thought," said the IRS's Lee. "It's a theft from the government. It is a theft using a tax return." Wigell emphasized that Hollins only benefit was the deluge of business she received. "She earned a good living off of this, and her business was in place for over 20 years," he said. "But she certainly didn't keep all that money." Hollins faces the possibility of nearly 5 years in prison, and has agreed to pay nearly $800,000 in fines. And her clients? They will be the next to hear from the Internal Revenue. "The IRS is certainly going to look at them for repayment of the money that they got wrongfully," Wigell said. "It's not just Verlean. The taxpayers had some complicity."